Their biggest success was the 125 BPM anthem Rej – a hit that filled the dancefloors all over the world. But not only House rhythms are their area of expertise. As well epic harmonious Ambient sounds and ice-cold Techno rhythms are their speciality. 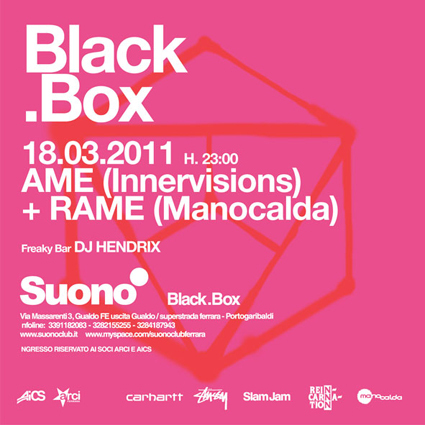 Shortly after the release of their latest compilation Primary Structures on Innervisions our friends from Slam Jam invited Âme for a party at Ferrara’s club Suono. It will be a sweaty night where all dancemusic lovers will get some deepness with a distinct twist – guaranteed!